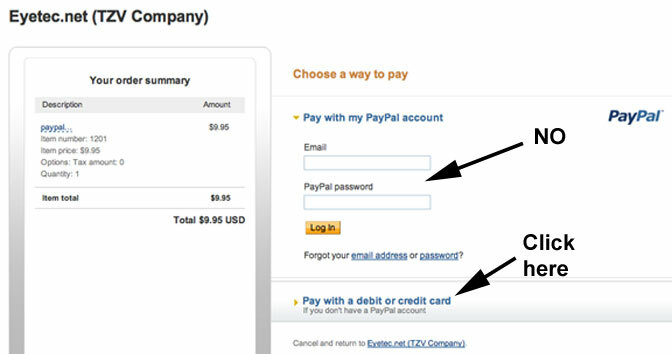 You do not have to have a Paypal account to pay with a credit card, and you do not have to sign up for a Paypal account. After choosing the number of credits that you want to pay for, you will then be taken to a Paypal page that will look something like the image below. Below is a screenshot of the new Paypal payment page. Follow the arrow instructions on the image. 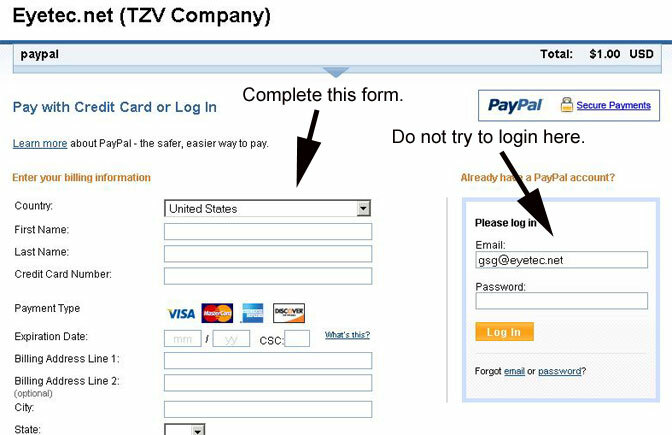 Below is the older Paypal payment page, which may still be in use. After choosing the number of credits that you want to pay for, you will then be taken to a Paypal page that will look something like the image below. 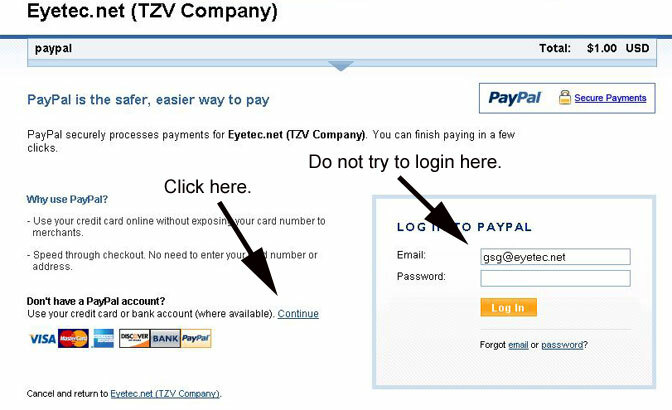 As noted on the image below, do not try to log-in to Paypal and do not try to sign up for a Paypal account. On this first page, simply click "continue" at the bottom of the page. Scroll down for instructions about the next page. On the next page, ignore the Paypal log-in. Complete the name, address, and other info requested, and click "continue" at the bottom of the page to complete the transaction.